Transforming data into deep insights that power media and research-driven solutions for the world's biggest brands. A recent article likening location data to a Ponzi scheme reinforced the fact that, like any good consumer, you have to ask the right questions to know what you are buying. Location intelligence, sourced securely and used in the right way, is an extremely powerful tool to craft precise targeting, predictive modeling, and creative media that drive meaningful marketing moments, massive ROI, and brand growth. Unfortunately, the location intelligence sector has also become a jungle of data fraught with fraudulence and insecurity. Through Consumer Behavior and Location Sciences™, SITO develops customized, data-driven solutions for brands spanning strategic insights and media. The platform reveals a deeper and more meaningful understanding of customer interests, actions and experiences providing increased clarity for clients when it comes to navigating business decisions. The company is home to the most complete, internally developed location-data technology stack in the market, offering a powerful resource for not only granular data, but also real-time insights and delivery of successful media campaigns. Using in-store targeting, proximity targeting, geo-conquesting and attribution data, the platform creates audience profiles to develop measurable hyper-targeted campaigns for brands. 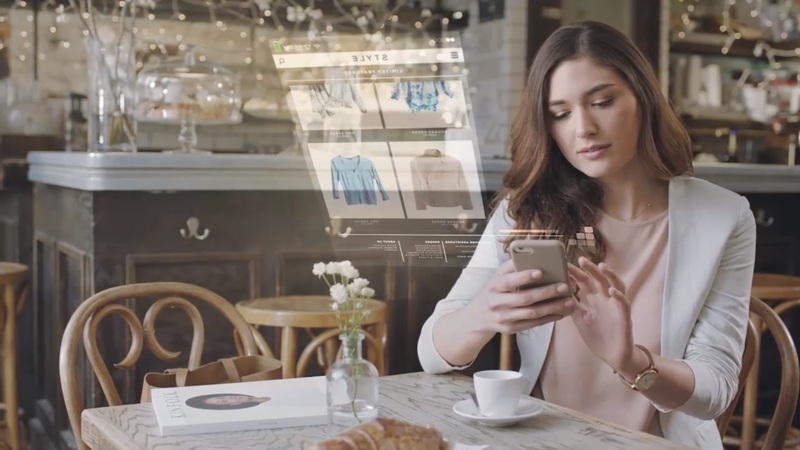 SITO’s real-time, location-based technology gives clients the unique advantage of understanding and shaping the future of retail and consumer behavior. 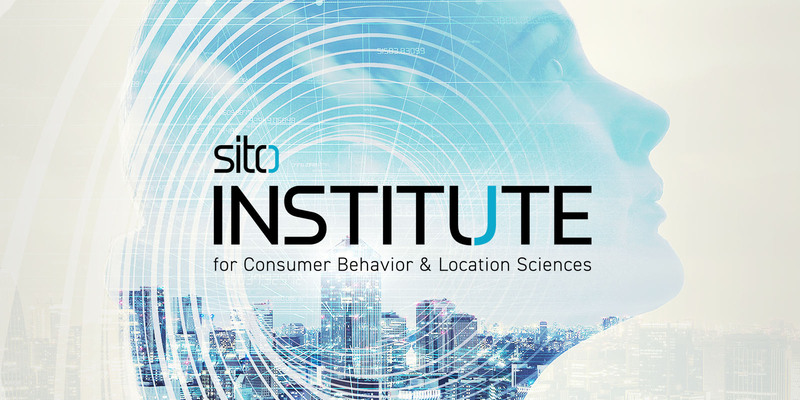 SITO has established a new thought leadership and membership initiative devoted to education and advocacy for the advancement of location data intelligence as a core component of the modern marketing organization. 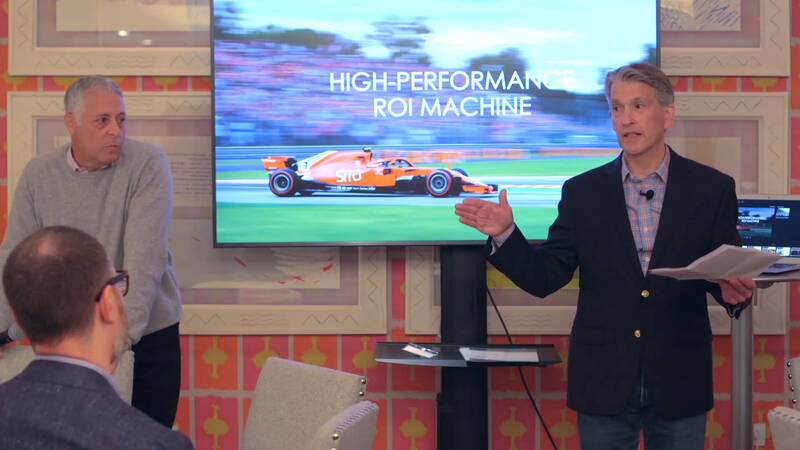 SITO Institute event featured a gathering of some 100 marketing luminaries at the Crosby Hotel in New York City to discuss performance marketing and the unveiling of the SITO Brand Momentum Index (beta). SITO is an outstanding business partner. In addition to providing us with excellent customer service, we appreciate their ability to deliver strong creative on a tight time frame. Plus, location data is a very important tactic for our theatrical marketing campaigns and we've seen excellent results in the numbers that count the most – sales! 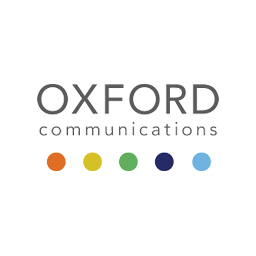 The SITO team that services Oxford Communications' accounts is truly remarkable. The performance of our client campaigns consistently exceed goals and KPIs. 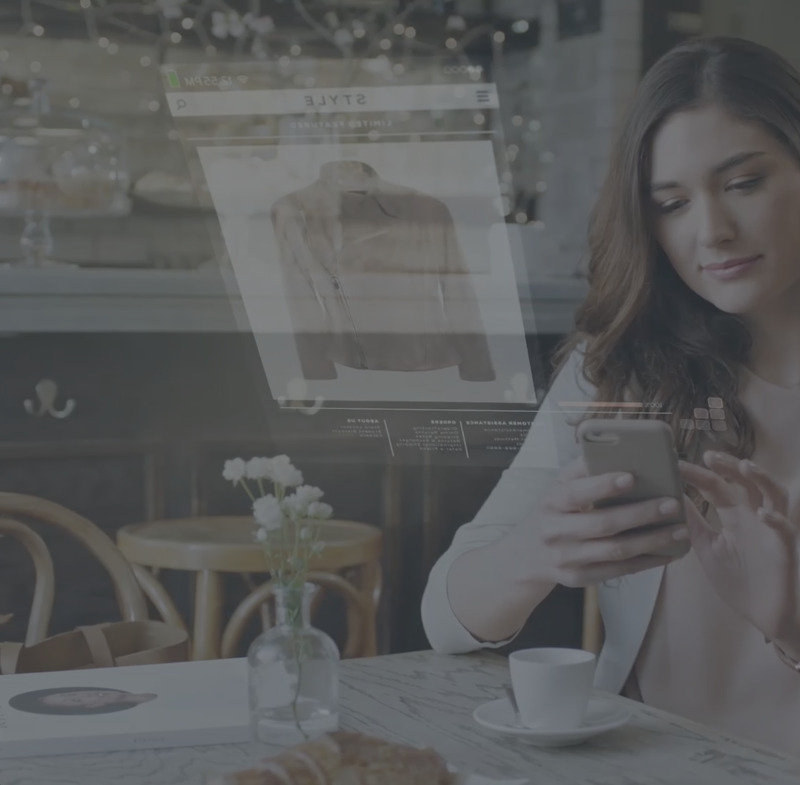 Utilizing SITO's Real-time VWI allows our agency to evaluate if a consumer has taken some type of action after seeing an ad, measure unique walk-ins per store and channel retailer, and stay ahead in the mobile space by providing industry-leading attribution technology to our clients. 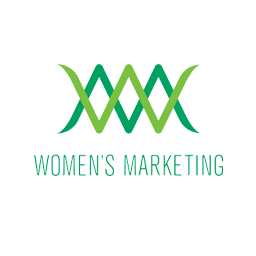 SITO Mobile has proven to be a trusted partner of Women’s Marketing. Their location-based advertising solutions help our clients better reach diverse female-centric audiences with real-time, relevant messaging. The campaigns we execute together deliver results that consistently outperform industry averages, leading to an impressive ROI. Furthermore, the team at SITO is knowledgeable, professional and efficient; they are determined to help their partners succeed. Media Director, Digital Innovation Specialist, Women's Marketing Inc.
We are inspired by our people. Become a valuable contributor to a transformative business that is just as passionate about its employees as its clients. We prioritize collaboration, innovation and insights-driven thinking. Interested? Get in touch. Consumer Behavior and Location Sciences™, transforming data into deep insights that power media and solutions for the world's biggest brands. We are looking for innovative, action-oriented professionals with the desire and initiative to make a major impact in the world of data and technology. The work environment is collaborative, fast-paced and team-driven. Opportunities for growth are endless. "We," "our," "us," and "SINGLE TOUCH", "SINGLE TOUCH SYSTEMS, Inc.", "SITO" or "SITO Mobile" refer to "SITO Mobile, LTD., and its subsidiaries and affiliates, as well as any other person or entity providing any equipment, applications or content to you from us, or on our behalf. Please review the following basic rules that govern your use of our Site (the "Agreement"). Please note that your use of our Site constitutes your unconditional agreement to follow and be bound by these Terms and Conditions. Although you may "bookmark" a particular portion of this Site and thereby bypass this Agreement, your use of this Site still binds you to the terms. We reserve the right to update or modify these Terms and Conditions at any time without prior notice. Your use of the Web site following any such change constitutes your unconditional agreement to follow and be bound by the Terms and Conditions as changed. For this reason, we encourage you to review these Terms and Conditions whenever you use this Web site. Any information that we collect or generate about you is subject to disclosure in a manner that is consistent with these Terms and Conditions or our Privacy Statement, and you have no expectation of privacy with respect to that information. We may, in our sole discretion, release information that we have about you when required to do so by law or if we reasonably believe that an emergency involving immediate harm to a person or property requires disclosure. Unless otherwise noted, all materials, including images, text, illustrations, designs, icons, photographs, programs, video clips and written and other materials that are part of this Site (collectively, the "Contents") are copyrights, trademarks, trade dress and/or other intellectual property owned, controlled or licensed by us, one of its affiliates or by third parties who have licensed their materials to us and are protected by U.S. and international copyright laws. The compilation (meaning the collection, arrangement, and assembly) of all content on this site is the exclusive property of SITO Mobile, LTD. and is also protected by U.S. and international copyright laws. We and our suppliers and licensors expressly reserve all intellectual property rights in all text, programs, products, processes, technology, content and other materials which appear on this Web site. Access to this Web site does not confer and shall not be considered as conferring upon anyone any license under any of our or any third party's intellectual property rights. Our names and logos and all related product and service names, design marks and slogans are the trademarks or service marks of SITO Mobile. All other marks are the property of their respective companies. No trademark or service mark license is granted in connection with the materials contained on this website. Access to this website does not authorize anyone to use any name, logo or mark in any manner. References on this Web site to any names, marks, products or services of third parties or hypertext links to third party sites or information are provided solely as a convenience to you and do not in any way constitute or imply Our endorsement, sponsorship or recommendation of the third party, information, product or service. We are not responsible for the content of any third party sites and does not make any representations regarding the content or accuracy of material on such sites. If you decide to link to any such third party web sites, you do so entirely at your own risk. This Site and all its Contents are intended solely for personal, non-commercial use. You may download or copy the Contents and other downloadable materials displayed on the Site for your personal use only. No right, title or interest in any downloaded materials or software is transferred to you as a result of any such downloading or copying. You may not reproduce (except as noted above), publish, transmit, distribute, display, modify, create derivative works from, sell or participate in any sale of or exploit in any way, in whole or in part, any of the Contents, the Site or any related software. All software used on this site is the property of SITO Mobile or its affiliates and protected by U.S. and international copyright laws. The content and software on this site may be used only as a shopping resource. Any other use, including the reproduction, modification, distribution, transmission, republication, display, or performance, of the content on this site is strictly prohibited. Users are prohibited from violating or attempting to violate the security of the Site, including, without limitation, (a) accessing data not intended for such user or logging onto a server or an account which the user is not authorized to access; (b) attempting to probe, scan or test the vulnerability of a system or network or to breach security or authentication measures without proper authorization; (c) attempting to interfere with service to any user, host or network, including, without limitation, via means of submitting a virus to the Site, overloading, "flooding," "spamming," "mailbombing" or "crashing;" (d) sending unsolicited email, including promotions and/or advertising of products or services; or (e) forging any TCP/IP packet header or any part of the header information in any email or newsgroup posting. Violations of system or network security may result in civil or criminal liability. The Company will investigate occurrences that may involve such violations and may involve, and cooperate with, law enforcement authorities in prosecuting users who are involved in such violations. You agree not to use any device, software or routine to interfere or attempt to interfere with the proper working of this Site or any activity being conducted on this site. This Agreement represents the complete agreement between the parties and supersedes all prior agreements and representations between them. If any provision of this Agreement is held to be unenforceable for any reason, such provision shall be reformed only to the extent necessary to make it enforceable and the other terms of this Agreement shall remain in full force and effect. The failure of us to act with respect to a breach of this Agreement by you or others does not constitute a waiver and shall not limit our rights with respect to such breach or any subsequent breaches. This Agreement shall be governed by and construed under Nevada law. Any action or proceeding arising out of or related to this Agreement or your use of this Site must be brought in the state or federal courts of Nevada. All comments, suggestions, ideas, and other submissions disclosed, submitted or offered to SITO Mobile on or by this Site or otherwise disclosed, submitted or offered in connection with your use of this Site (collectively, the "Comments") shall be and remain our property. Such disclosure, submission or offer of any Comments shall constitute an assignment to our worldwide rights, titles and interests in all copyrights and other intellectual properties in the Comments. Thus, we will own exclusively all such rights, titles and interests and shall not be limited in any way in its use, commercial or otherwise, of any Comments. We are and shall be under no obligation (1) to maintain any Comments in confidence; (2) to pay to user any compensation for any Comments; or (3) to respond to any user Comments. You agree that no Comments submitted by you to the Site will violate any right of any third party, including copyright, trademark, privacy or other personal or proprietary right(s). You further agree that no Comments submitted by you to the Site will be or contain libelous or otherwise unlawful, abusive or obscene material. You are and shall remain solely responsible for the content of any Comments you make. We will be entitled to use, reproduce, disclose, publish and distribute any material you submit for any purpose whatsoever, without restriction and without compensating you in any way. 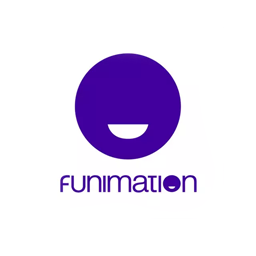 For this reason, we ask that you not send us any comments that you do not wish to assign to us, including any confidential information or any original creative materials such as stories, product ideas, computer code or original artwork. You agree to defend, indemnify and hold us harmless from and against any and all claims, damages, costs and expenses, including attorneys' fees, arising from or related to your use of the Site. THIS SITE IS PROVIDED BY SITO Mobile ON AN "AS IS" AND "AS AVAILABLE" BASIS. WE MAKE NO REPRESENTATIONS OR WARRANTIES OF ANY KIND, EXPRESS OR IMPLIED, AS TO THE OPERATION OF THE SITE OR THE INFORMATION, CONTENT, MATERIALS, OR PRODUCTS INCLUDED ON THIS SITE TO THE FULL EXTENT PERMISSIBLE BY APPLICABLE LAW. YOU ACKNOWLEDGE, BY YOUR USE OF THE WEB SITE, THAT YOUR USE OF THE SITE IS AT YOUR SOLE RISK. THIS DISCLAIMER CONSTITUTES AN ESSENTIAL PART OF THIS AGREEMENT. UNDER NO CIRCUMSTANCES AND UNDER NO LEGAL OR EQUITABLE THEORY, WHETHER IN TORT, CONTRACT, STRICT LIABILITY OR OTHERWISE, SHALL SINGLETOUCH OR ANY OF ITS EMPLOYEES, DIRECTORS, OFFICERS, AGENTS, VENDORS OR SUPPLIERS BE LIABLE TO YOU OR TO ANY OTHER PERSON FOR ANY INDIRECT, SPECIAL, INCIDENTAL OR CONSEQUENTIAL LOSSES OR DAMAGES OF ANY NATURE ARISING OUT OF OR IN CONNECTION WITH THE USE OF OR INABILITY TO USE THE WEB SITE, INCLUDING, WITHOUT LIMITATION, DAMAGES FOR LOST PROFITS, LOSS OF GOODWILL, LOSS OF DATA, WORK STOPPAGE, ACCURACY OF RESULTS, OR COMPUTER FAILURE OR MALFUNCTION, EVEN IF AN AUTHORIZED REPRESENTATIVE OF SITO Mobile HAS BEEN ADVISED OF OR SHOULD HAVE KNOWN OF THE POSSIBILITY OF SUCH DAMAGES. As explained below SITO's technology collects information about the location of mobile devices over time, and processes it to determine geographic-location segments that will be used to help make the digital advertisements consumers' see more relevant. We do not collect information directly from individuals. We collect information from our partners, which are usually mobile advertising networks, mobile websites, supply side platforms and mobile apps. These partners deliver advertising onto your mobile device. In addition, we may collect some information directly from our advertisers or from third parties if required and provided by our advertisers. What types of information do we collect via our technology? Through our partners we may collect various types of information. For example, from the ad requests your device makes, we may obtain the latitude and longitude (i.e., lat/long) coordinates from one of our mobile app partners. In addition, we may obtain your device type, the identifiers associated with your mobile device, your mobile browser type, operating system, and IP address. We may collect this information over time and across websites, mobile apps, and devices. If requested by our partners, we may combine the information from the geographic-location segments with information obtained directly from customers or with information obtained from third parties on our customers' behalf. We may also supplement the information we collect via our technology with audience information from third parties, and we may use personally identifiable information ("PII") from third parties such as address and last name to match the data sets, but we do not use any PII directly for ad delivery and targeting purposes, and we do not merge the PII with our Geo-location segments or store this PII in our DMP or DSP. We use collected information to target and display advertisements that may be of interest to you. We may provide the collected information to our third party partners and agents to improve targeting, make and create offers, provide reporting to advertisers and clients, and to improve our systems and products. If you do not want the information used for the purpose of serving you targeted ads while you access the third-party applications of our mobile partners, we offer a number of choice mechanisms. Please note that none of our choice mechanisms will opt you out of being served advertising. You will continue to receive generic ads. Your opt-out choice will be applied only to the browser or device that has opted out. In Ad opt-out - You may opt-out by selecting the Ad Choices icon within an advertisement targeted by SITO and following the instructions listed within the opt-out page. Mobile Device Settings - If you'd like to adjust your setting regarding the use of precise location data by third parties such as SITO, you may do so via your device settings. SITO honors the mobile device settings for Android and Apple iOS devices. To exercise this opt-out please visit the privacy settings of your Android or iOS device and select "limit ad tracking" (Apple iOS) or " opt-out of interest based ads" (Android). Submit your Device ID – Alternatively, you may send an email to opt-out@sitomobile.com including the IDFA or Advertiser ID of your device. Please allow up to seven days for your request to take effect. For devices where we see such a request has been made SITO will not longer use device information for the purposes of serving behavioral advertising. Please note that these choice mechanisms won't impact previously collected precise location information that has been de-identified. Also, by turning off location-based services, you will lose all the benefits of those location-based services on your phone. Why do we use the information? We store and use information to develop geographic-location segments to help make the digital ads more relevant, and for ad delivery, analytics, and reporting purposes. We may also use the information to enhance our advertising and analytics capabilities, and to offer analytics and data enhancement services to our customers for their marketing and advertising purposes. We do not collect any PII via our technology that allows us to identify an individual directly such as email address or telephone number. In addition, our technology uses de-identification techniques such as pseudonymous identifiers associated with your mobile device to help safeguard your privacy. If we combine information collected via our technology with information we receive from third parties, we do not use any PII, such as address or last name, directly for ad delivery and targeting purposes, although it may be obtained by us in connection with such uses. We store any PII we receive from third parties separately from our Geo-location segment information. Our website is primarily designed to provide information to our clients, which are typically businesses. SITO collects information from our website, www.sitomobile.com, when you choose to provide it to us, including but not limited to: name, address, telephone number, or email address. For example, you may choose to send information about yourself in an email, or by completing a form on our website. We use this information only to contact you to respond to your inquiry. We may also collect information from visitors to this website, including your IP host address, pages viewed, browser type, Internet browsing and usage habits, Internet Service Provider, domain name, the time/date of your visit to this Website, the referring URL and your computer's operating system. We use this information to analyze traffic on our site and to improve our services. If you wish to not have your location information collected, you can turn off this capability in the settings of your mobile device. If you wish to not receive tailored advertising based on our services, you can opt-out by adjusting your advertising ID settings on your mobile device. We encourage you to read the help section of your mobile operating system to learn how to turn off the collection of location information or to opt-out from tailored advertising. You can also opt-out of our tailored advertising services by clicking the AdChoices icon in or next to the ads in which it appears or using your mobile device to go to our AdChoices mobile opt-out page. Please note that this does not opt you out of being served all advertising. You can also turn off location settings on your device at any time to disable our collection and use of the location data obtained from your device. You will continue to receive generic ads and may receive tailored ads from other companies. SITO adheres to the Self-Regulatory Principles for Online Behavioral Advertising and the Application of Self-Regulatory Principles to the Mobile Environment published by the Digital Advertising Alliance (DAA). We honor the DAA's opt out mechanism for data collection and use in connection with mobile applications. To learn more about the DAA and your choices, please visit www.aboutads.info/choices. We do not rent, sell, or share PII obtained via our technology or our website with non-affiliated third parties without user consent. We may, however, share PII obtained from other sources with trusted third-party partners. These third party partners are prohibited from using the information for purposes other than performing services as contracted for by and with SITO. We may disclose information about you to third parties when obligated to do so by law and in order to investigate, prevent, or take action regarding suspected, or actual prohibited activities, including to fraud and situations involving potential threats to the physical safety of any person. Finally, we may transfer information, including any PII, to a potential or actual successor entity in connection with a corporate merger, consolidation, sale of assets, bankruptcy, or other corporate change. If we are involved in a merger, acquisition, or sale of all or a portion of our assets, you will be notified via email and/or a prominent notice on our web site of any change in ownership or uses of the information we have collected about you, as well as any choices you may have regarding your PII. The security of your information is important to us. We have implemented security measures to help protect the information in our care, both during transmission and once it is received. No method of transmission over the Internet or method of storage is 100% secure; therefore, while the company strives to use commercially acceptable means to protect your information, it does not guarantee absolute security. This Website and our products and services are designed for those 18 years of age and older. We do not knowingly collect PII from anyone under the age of 13. If we are made aware that we have received PII from someone under 13, we will use reasonable efforts to promptly remove that information from our records. Typically we do not have a direct relationship with you, we largely rely on digital advertisers, application owners, website owners and other business that use our services to reply to questions and concerns regarding the collection and use of information. Please contact them for any questions about their privacy practices.